Two former Henderson politicians plan to open what they call one of the world’s largest marijuana dispensaries Nov. 1. The plan does not stop with marijuana, however. Former Henderson Mayor Bob Groesbeck and former Councilman Larry Scheffler, who share the title of CEO, plan to add a brewery, a coffee shop and a food hall to the complex. 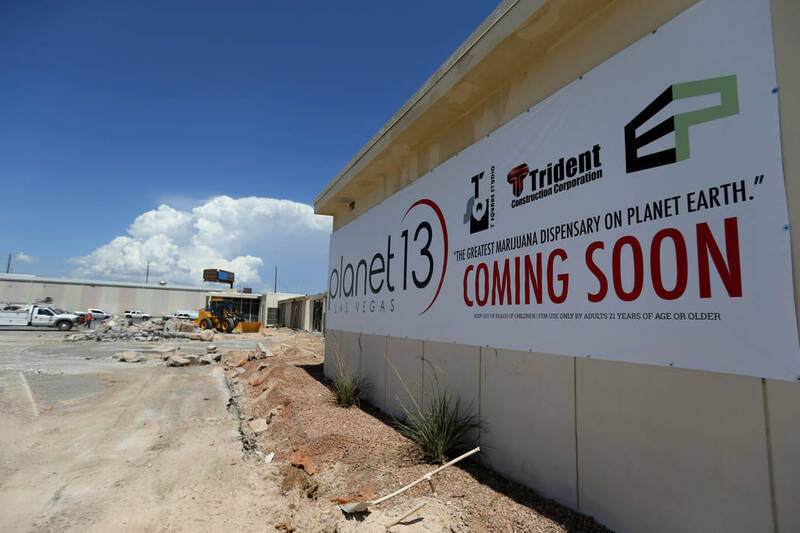 Planet 13’s first phase will include 16,500 square feet of retail space plus interactive attractions, they said Thursday. The company is investing at least $7.5 million into the project, Scheffler said. The first phase will take up 40,000 square feet. Once complete at a yet-to-be-determined date, the full complex will take up 112,000 square feet. The complex will have at least 45 registers, 13 15-foot-tall lotus flowers on the roof and a spherical fountain in front. Inside the dispensary will be a sensory-activated floor, 10 feet by 16 feet, with lights that move as visitors walk. Six aerial orbs will circle above visitors’ heads every hour. Visitors can also write and draw with lasers on a wall inside the dispensary and watch 3D projections. “We want to out-Vegas Vegas,” Groesbeck said. Las Vegas Medical Marijuana Association Vice President Jim Lamb said the dispensary marks another level of presentation and design for cannabis retailers. “This is just like Steve Wynn opening The Mirage,” Lamb said. Located west of Trump International, near the intersection of Desert Inn Road and Sammy Davis Jr. Drive, the dispensary is on the former site of a distribution center for beer brand Coors. Planet 13 also intends to introduce event space for corporations to rent. Groesbeck said he doesn’t expect to have trouble with permitting for some of the unusual features for his dispensary. He said he and Scheffler will draw on their experiences from governing. Clark County Commissioner and Democratic gubernatorial candidate Steve Sisolak praised the marijuana superstore Thursday. Speaking to a crowd inside the future storage area of the space, Sisolak said the project should bring 100 new jobs to the valley. Sisolak told the Review-Journal that, if elected, he wants to legalize on-site consumption of marijuana at dispensaries and create a path for banks to work with marijuana businesses. Because marijuana remains federally illegal, dispensaries have largely accepted cash-only transactions. The campaign for Sisolak’s Republican opponent for governor, Adam Laxalt, did not return a request for comment. Contact Wade Tyler Millward at 702-383-4602 or wmillward@reviewjournal.com. Follow @wademillward on Twitter. 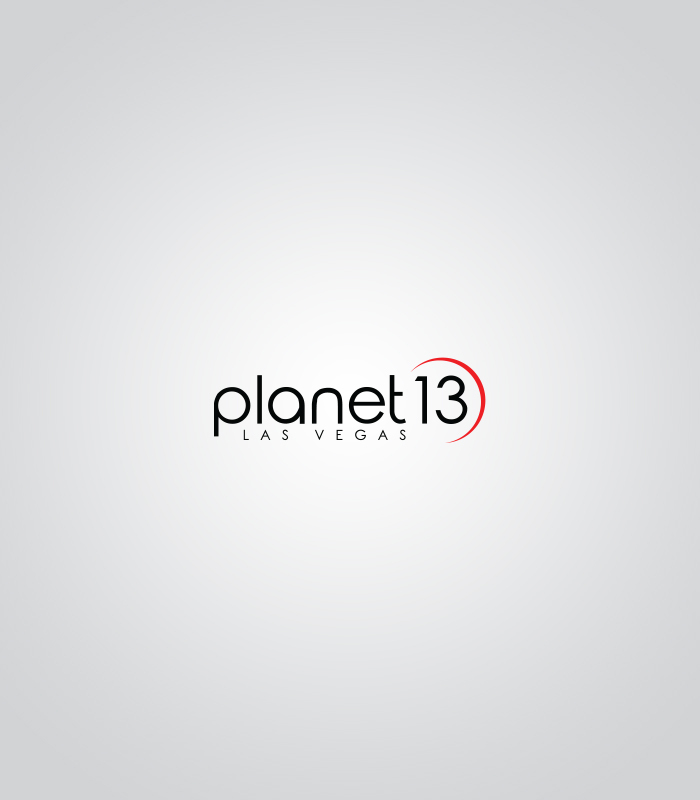 Driving the concept of Planet 13 has been finding the most unusual and oddest features, said Planet 13 Co-CEO Larry Scheffler. The “13” name comes from a sticker Scheffler and his friends use to pass around while living up in Minnesota. If someone showed the sticker, that person was OK with smoking marijuana, he said.